Fujifilm has finally come completely clean about their IBIS system after vaguely answering questions about how it works across multiple interviews. Back in September, I explained how IBIS on X-mount might work and it turns out Fujifilm does indeed use some software correction in their IBIS system. To be clear this is perfectly fine and Sony does the same thing. I am pretty sure that outside of m43 (m43 does manipulation too, but it’s to reduce the size of some lenses) it is impossible to do IBIS without some software correction or an oversized mount with oversized lenses. 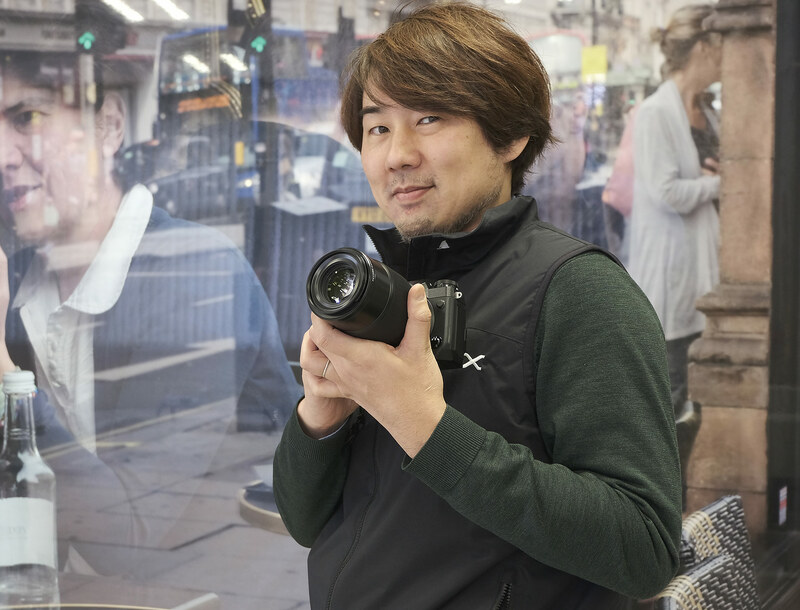 DPReview’s interview with Jun Watanabe covers a few more new areas that I will highlight below, but I am extremely happy that Fujifilm came clean before launch because I had some testing planned to show their software corrections. This is also likely why the Fujifilm X-T3 is still rumored to not have IBIS beyond the large IBIS size. Can’t include Zebra because of hardware constraints. Still, lenses will remain the same but, sounds like more MK lenses to come. Fujifilm is trying to attract DSLR users by adopting a lot of the GFX features meant to help transitions. Fujifilm is doing a lot right with their cameras today and they seem to have something for everyone, but if you are looking at the Fujifilm X-H1 for photography chances are most of the improvements will come to the Fujifilm X-T2 soon. Fujifilm doesn’t have a history of artificially limiting cameras the way other manufacturers do and I doubt they will start now. Granted we might have to wait until just before Photokina and the release of the Fujifilm X-T3, but I am sure that most of the AF and low light focusing improvements you see above will come to the Fujifilm X-T2 via firmware update along with internal F-log. In fact, I wouldn’t be surprised if that ends up being the next “rumor” spun up by other sites since it is a safe bet. The Fujifilm X-T3 will be the real leap in image quality that photographers are looking for in an upgrade from the X-T2, while the Fujifilm X-H1 delivers the IBIS performance needed by a few and wanted by many. Given enough time all Fujifilm cameras might have IBIS, but Fujifilm is very much a company that tries to represent the needs of all photographers instead of just adopting mass market trends so hopefully, they will always have a professional non-IBIS camera available for those that want one. Some photographers like myself understand the drawbacks of IBIS from an engineering perspective and we would rather own cameras without the feature, but I am always willing to be convinced otherwise. IBIS technology today is very good, but it should be optional and even Panasonic has acknowledged that by releasing the Panasonic GH5S. Fujifilm is being very deliberate in their marketing strategy and has even pivoted a little over the past few days of interviews. I have no doubt Fujifilm will continue to do right by their fans and it’s partially or why running this site is so enjoyable and why the FujiAddict base keeps rapidly growing. This entry was posted in Fuji X-T2, Fujifilm X-H1, Fujifilm X-T3 and tagged Fuji Rumors, Fuji X-H1, Fuji X-T2, Fuji X-T3, Fuji XH1, Fuji XT2, Fuji XT3, Fujifilm, Fujifilm Rumors, Fujifilm X-T3, Fujifilm XH1, Fujifilm XT2, Fujifilm XT3, FujifilmRumors, Fujirumors. Bookmark the permalink. Trackbacks are closed, but you can post a comment.